Salmonella, dysentery, gastroenteritis and typhoid are some of the horrific diseases that cockroaches carry into your home or office. Now doesn’t that make your skin crawl? 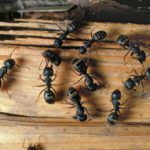 They really are nasty creatures and they can quickly establish themselves in high numbers throughout your home or office or eatery and the adjoining properties. Thankfully, professionals were called in and the eatery has been deemed clean. The roaches spotted at this restaurant are a rare species that make their home in plant material and not indoors. They are found in the likes of outdoor garden areas and they pose no threat to people or animals. Doppio Zero did the right thing by immediately calling in professionals as it was quickly established where the roaches were originating from and how to mitigate against them entering the property in the future. The recommended cockroach control methods were to seal the gaps in the restaurant windows and repot the indoor plants. Other than these cockroaches, that have now been eliminated, Doppio Zero has been cited to have excellent sanitation and hygiene standards. Regular cockroaches, the usual suspects breed, are far more harmful than the ones that were found in Doppio Zero and professional cockroach control is the best way to rid your property of these ‘nasties’. Regular cockroaches are a nasty pest to have to deal with as they carry disease and can cause havoc with people’s immune systems. Anyone with a compromised immune system should be aware that cockroach droppings can cause eczema and asthma so spaces such as schools and old-age homes or any medical facilities, should employ robust cockroach control treatment. Making use of DIY cockroach control methods will give you the satisfaction of killing off roaches on site but they will return over time if you don’t eliminate the nest. 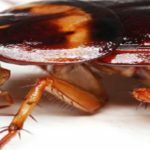 Fumigation services which offer cockroach control are often misunderstood – many wonder why professional cockroach control is needed when the DIY methods appear so effective. However, the DIY methods are ineffective in destroying the nest, so eventually the cockroaches will reappear. Furthermore, the nests are often set up in wall crevices, floor cracks and other nooks and crannies that are out of sight. Professional cockroach control methods are able to either reach into these near impossible areas where the nests are created, or they are designed in such a way that the poison attracts the cockroaches and they carry it back to the nest which then infects the whole intrusion. There are many myths out there about DIY cockroach control. We decided to bust some of these myths to save you wasting time. Citrus liquids are believed to prevent cockroaches from entering your property but these hardy creatures will not be deterred by your lemonade, orange blossom scents. Spraying a dishwashing liquid and water solution on cockroaches does little more than simply slow them down. They will not be harmed or killed from coming into contact with this solution. Cucumber peels are believed to ward off cockroaches – this will achieve absolutely nothing in your effort to find a cockroach control method. Unlike ants, herbs will not deter cockroaches at all. Making use of professional cockroach control methods will save you time and rid you of your cockroach infestation once and for all. Pest control professionals will be able to provide you with safe but extremely powerful cockroach control solutions. Ideally, you want to find a professional service provider who can offer a range of environmentally safe products that will not cause your family or pets any harm. The Specialist offers cockroach control that boast safety, environmental responsibility and a fast, long-lasting solution which is far-reaching – meaning that those nooks and crannies and secret hiding places of the roaches will be targeted and the nests eliminated.